The perfect decoration for any bar or man cave. 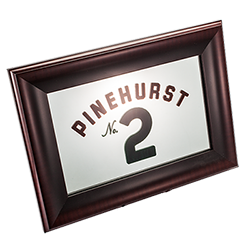 Our Pinehurst No. 2 Bar Mirror features the iconic image of the No. 2 golf course flag. From Dona of Spencer, Ohio on 8/29/2016 . for their anniversary. Have not given it to them yet. But I think they are going to love it.